According to the Tipsy Texan, the classic margarita consists of tequila, lime and orange liqueur. For the liqueur, the best commercially available brand is Cointreau. If you live in Texas, check your local liquor store for the Austin-produced Paula's Texas Orange, a wonderful, less expensive substitute. 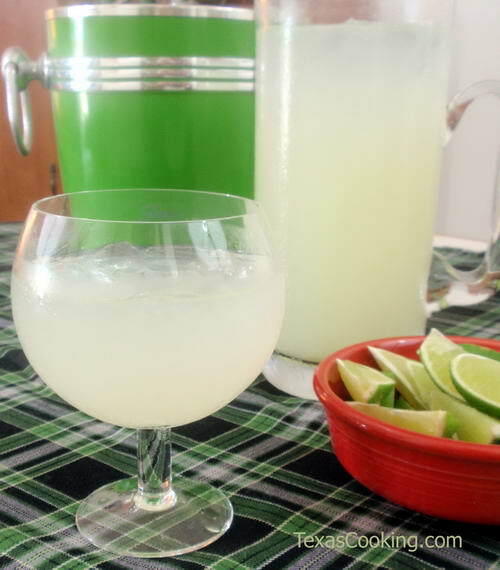 Mix together the tequila, orange liqueur/triple sec and lime juice in a pitcher. To serve, rub the rim of each glass with a cut lime wedge and dip the rim into salt to coat it thoroughly. When ready to serve, add frozen wedges of limes and lemons. Fill glasses with ice cubes, and pour your freshly-made margarita mix over the ice. Garnish with lime wedges. Note: For tequila, use your favorite brand of tequila blanco or tequila reposado. If you want to be really creative, infuse your tequila beforehand with fruit flavors. You can sweeten the drink with a few drops of agave nectar or some simple syrup. Better yet, offer this in two small pitchers as Texans would serve iced tea: one as a authentic margarita and the other as a pre-sweetened version using agave syrup.